The Song of the Ever-Free, translated by Swami Chetanananda. 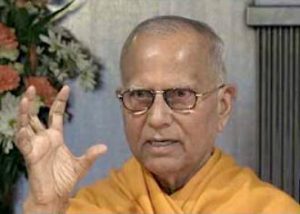 One of the purest statements of nondualistic (Advaita) Vedanta made 3,000 years ago by Dattatreya Avadhuta, who sang it spontaneously after purifying himself in meditation and becoming absorbed in the uninterrupted bliss of Brahman. 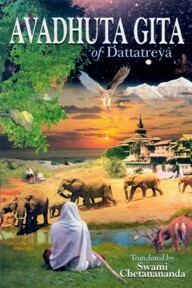 One of the purest statements of nondualistic (Advaita) Vedanta made 3,000 years ago by Dattatreya Avadhuta, who sang it spontaneously after purifying himself in meditation and becoming absorbed in the uninterrupted bliss of Brahman. 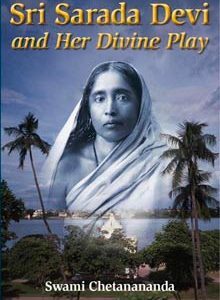 The Avadhuta Gita is an independent treatise on Advaita and explains that doctrine in the most uncompromising terms . . . 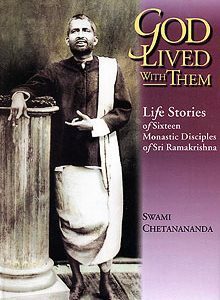 It is very difficult to translate some of the passages, and our gratitude goes to Swami Chetanananda for having given us a fine and lucid translation with proper notes. 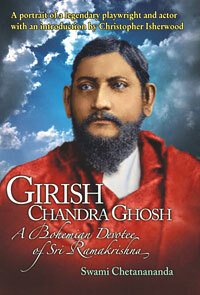 This is a book not only for spiritual aspirants but for everyone who desires to know the essence of Vedantic doctrines. I know your supreme form, which is ever present and all-pervading like space. Similarly, I know your inferior form, which is indeed like water in a mirage. I have neither guru nor instruction, neither attributes nor action. Know for certain I am incorporeal like space and absolutely pure by nature. O mind, why do you weep? You are truly the Atman. Be one with It. Drink, O my dear, the supreme nectar of the boundless ocean of nondual Brahman. Indeed, there is not an iota of attachment or detachment in your real nature. Truly, you have not the slightest form of desire. I am Existence-Knowledge-Bliss and boundless as space. Truly, there is no one who meditates within your heart; therefore you have no samadhi. There is no meditation within your heart because there is no space without. Indeed, there is no object of meditation within your heart as there is no object or time. I am Existence-Knowledge-Bliss and boundless as space. I have told you the quintessence of the Supreme Reality. There is neither you nor I nor superior nor teacher nor disciple. The Ultimate Reality is simple and spontaneous. I am Existence-Knowledge-Bliss and boundless as space.